U.S. President George H. Bush is surrounded by cheering students from the Independent Living Program in Los Angeles, Monday, May 21, 1990 as Bush prepared to leave Los Angeles International Airport. The organization is holding a three-day event that kicks off Tuesday in Kennebunkport, Maine, where the 94-year-old Bush spends his summers. 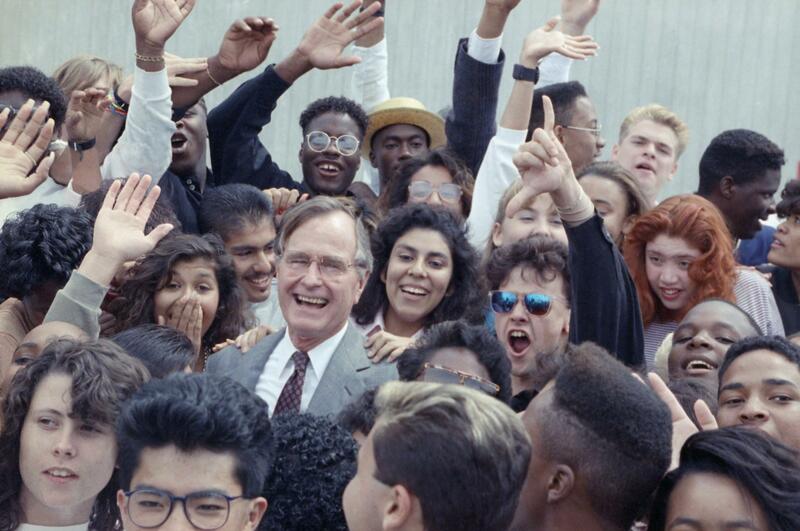 The phrase "points of light'' originated in Bush's acceptance speech at the Republican National Convention in 1988. His vision grew into a Point of Light award given to more than 6,000 individuals and a foundation that promotes volunteerism in 37 countries. The phrase was lampooned by the media, and President Donald Trump ridiculed it as recently as July. Neil Bush, son of former President George H.W. Bush and chairman of Points of Light, said he's proud that his father's vision for volunteerism endures. 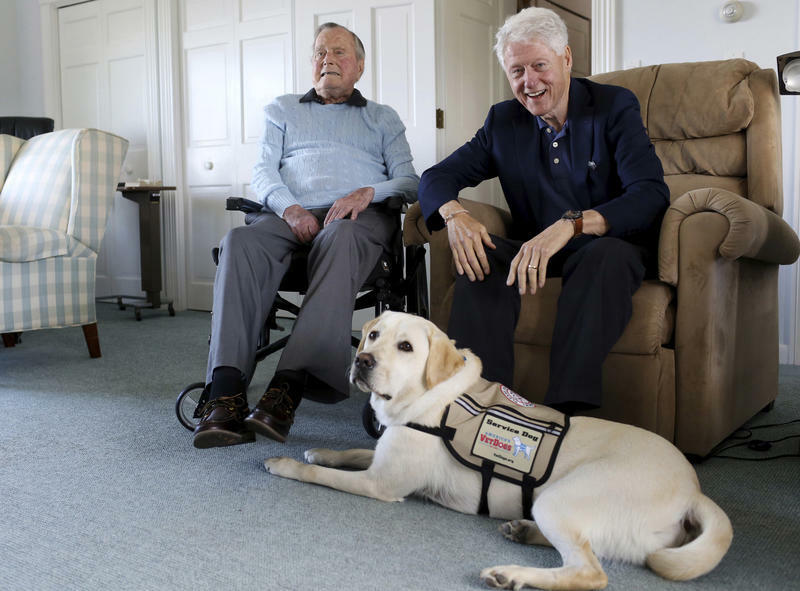 The 94-year-old and his service dog got acquainted Monday at the Bush compound on the coast in Maine. Bush aide Evan Sisley says the two hit it off. Sully had been trained by America's VetDogs , a nonprofit that provides service dogs.